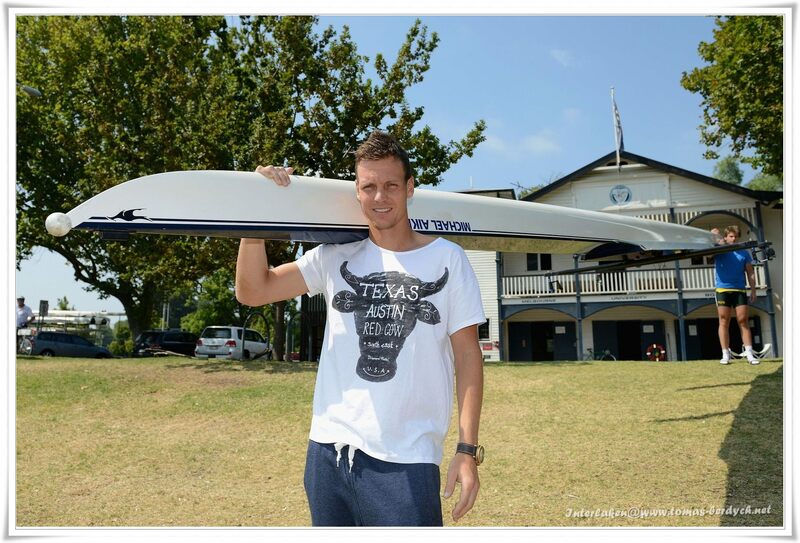 Tomas Berdych took in the sunny skies of Melbourne along the Yarra River on his day off Monday, meeting Australian Olympic rower Will Lockwood. 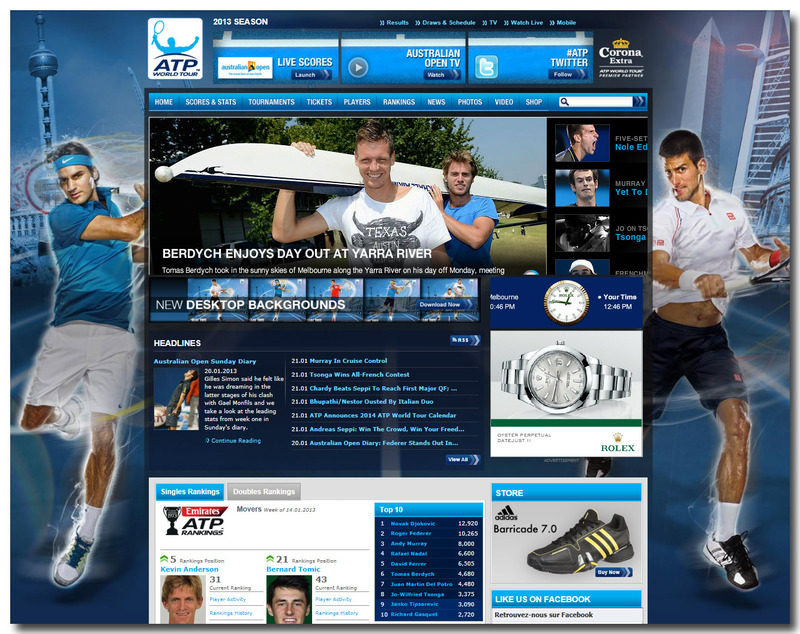 Berdych faces Novak Djokovic on Tuesday night. 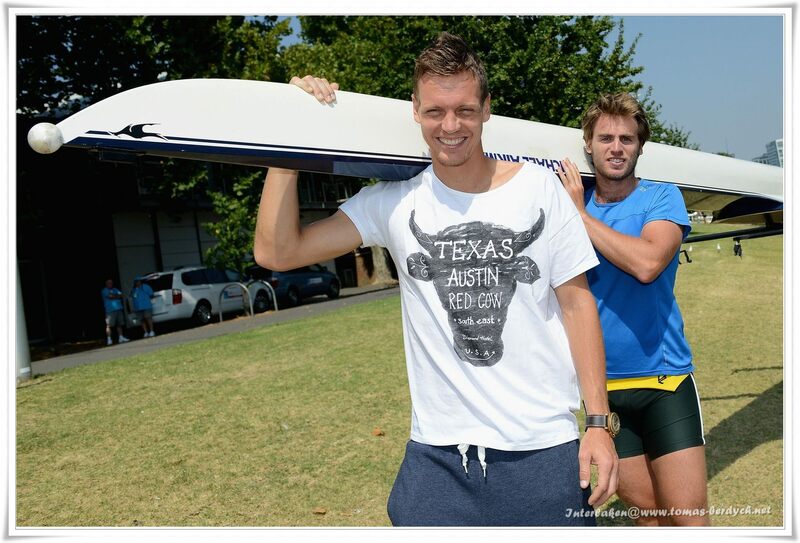 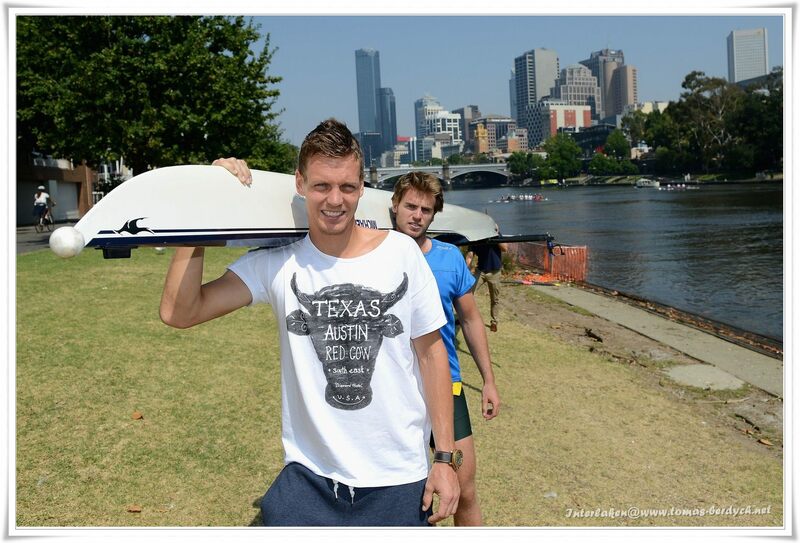 Tomas Berdych poses with Australian Olympic rower Will Lockwood along the Yarra River at the Rowing Sheds on day eight of the 2013 Australian Open on January 21, 2013 in Melbourne.